Love is in the air! Can you feel it? 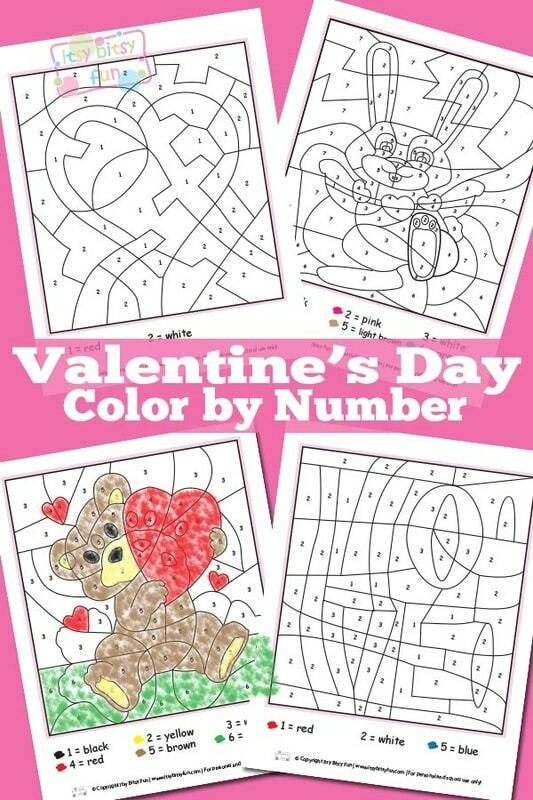 Let’s color it with these Valentine’s Day color by numbers “worksheets”, it will be fun! There was a time when I didn’t really like this holiday – I though it was “commercial” – funnily enough I didn’t mind Christmas haha – looking back I know that this opinion was more or less based on the fact that I didn’t get a valentine’s card from that one boy that I wanted to get it from. I mean I knew it was true love because when you are 6 you just know right? 🙂 Fun times! Your kids can enjoy these at home by themselves (they are a great way to practice their numbers) or they can use these as Valentine’s Day cards and give them out to their friends, family or that one special someone they like. 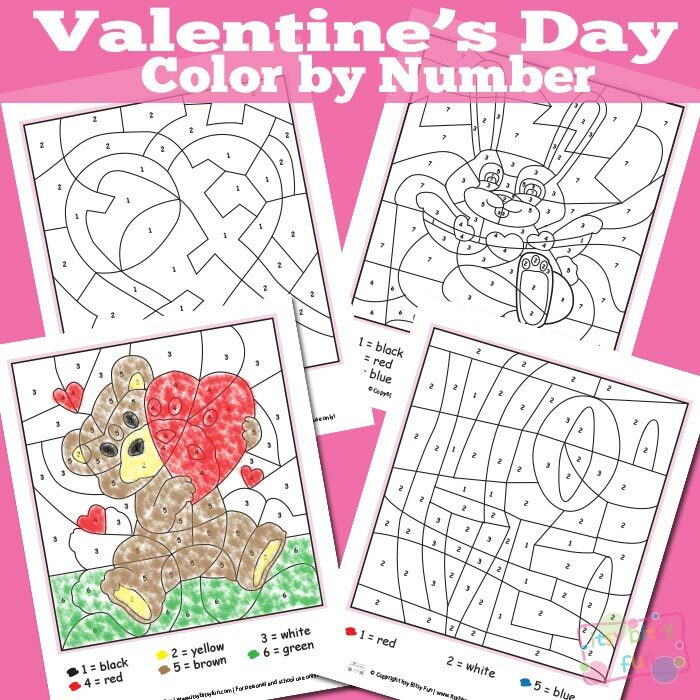 There are 4 different pages with V-day motives to color and they are best suited for preschoolers and kindergarten but older kids will enjoy them too! Liked these? Also check the winter color by numbers (or summer color by numbers if you’re on the southern hemisphere!). 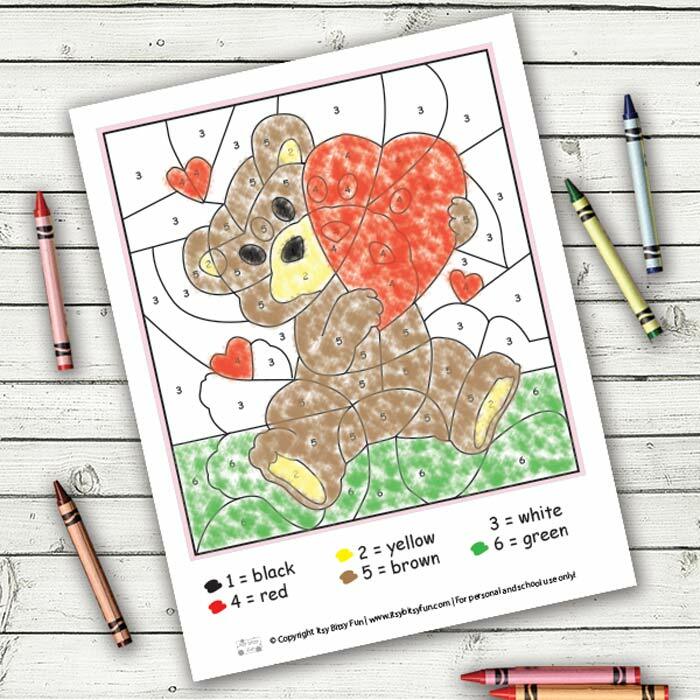 Do check these lovely valentine’s day coloring pages and dot to dot pages.